For climbers who have already been on the ice a few days, or who are experienced rock climbers, we can offer more challenging, exciting terrain to explore. 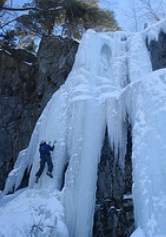 Courses can be focused on climbing technique, technical skills, or destination climbing. Our instructors will work with you to tailor the course to your needs.